If the name Timo Kaukolampi rings any bells, there's a fair chance it's thanks to Annie, whose Anniemal and Don't Stop albums he helped to write and produce. To anyone familiar with Annie's pure pop it may come as some surprise that Kaukolampi's latest move sees him exploring the outer limits of heavy cosmic psychedelia. Superficially, it's as strange a turn as the song-writing team behind Girls Aloud deciding to front their own black metal group. Delve a bit deeper into Kaukolampi's musical past, however, and stints with synth-punks OP:L Bastards and their sister act And The Lefthanded suggest he's been on this particular path right for quite some time. Surrounding himself with a band comprising former Bastards colleagues and members of various Norwegian experimental outfits, Kaukolampi here mixes electronics and programmed beats with organic instruments and live drums into the kind of heady stew that would have James Murphy making a mess of his white suit pants. It's certainly easy to imagine half of these songs causing a stampede at Optimo, but despite rather large nods to Krautrock and the kind of down-tempo disco produced by compatriots Lindstrom and Diskjokke, K-X-P refuses to let itself be pigeon-holed, favouring instead a combination of styles that also takes in industrial noise, punk, jazz and even a hint of pop. The album has its fair share of highlights: the pounding bass and slowly-building tribal percussion of opener 'Elephant Man' call to mind a herd of the titular beasts approaching on the horizon, whilst the hazy woodwinds and electronic squiggles that float over the second half of the track seem at once at ease and at odds with the underlying intensity, giving the track a hazy, disorientating feel. 'Mehu Moments' is like the first track's space-age counterpart, an army of oscillating synths bleeping and buzzing over a fat bass-line and a cyclical, jazzy drum-beat. '18 Hours (Of Love)' is a massive club hit in waiting, a Suicide-like drone with strobing guitars set to a glam-rock “schafel” stomp whilst the see-saw motorik glide of 'Pockets' pushes the Neu! influence into the red before eventually erupting into a burst of arpeggiated synth fireworks. A couple of tracks, such as 'Aibal Dub', fail to ignite but the album ends on another high note with 'Epilogue', an icy, slow-motion number with crashing Jaki Leibzeit drums and an almost Italo-disco feel. 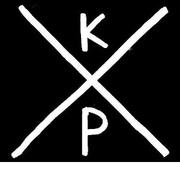 K-X-P sits somewhere in between the most recent albums from Animal Collective and the Chemical Brothers, in the space where primal beats blend into driving rhythms and organic instruments are electronically enhanced, and hippies and ravers come together to zone out at sunrise. But this is more than just a cosmic disco record. While the emphasis here is on repetition, K-X-P continually pile on layers of instruments and effects so that – mostly – they avoid falling into any ruts. The amount of bands currently crowbarring Suicide, Throbbing Gristle and Can influences into their music has led to the novelty wearing off pretty quickly, but Kaukolampi and his crew tackle these ideas with the professorial enthusiasm, brewing up an end product that is, at times, bordering on magical.